This series is a good one for all of you pastors to recommend to folks in your congregations. You may even want to consider getting them for your church library and encouraging the youth to read them. They do a great job of presenting solid doctrine -- from a Reformed Baptist perspective -- in an enjoyable, understandable, and practical way. And the continuing saga of the series' primary character, Ira Pointer, is very engaging! Dr. Belcher has informed me via email that he hopes to have his latest offering, A Journey in Evangelism and Missions, available by April 1 or perhaps a little earlier. It will address the false argument that "Calvinism kills evangelism and missions." It should be a great weapon to add to your arsenal to help folks correctly understand that the Doctrines of Grace not only do not destroy zeal for evangelism and missions but that, properly understood, they provide a tremendous motivation to take the Gospel to the whole world. I am looking forward to reading it and will announce it here on the blog when it is available. P.S. I have invited Dr. Belcher to contribute to the blog if he can. I know he is a very busy man, still traveling and writing a lot, so he may not be able to post here, but the invitation is always open! a year or less, while 45 percent of SBC pastors address Calvinism several times a year or more from the pulpit. I wonder how many of the 4 percent who said they "don't know" if they are five-point Calvinists responded this way because they are four-point Calvinists and are thus still essentially Calvinistic in their theology? Or, for that matter, how many of the 85 percent who do not consider themselves five-point Calvinists might fall into the four-point category? At any rate, it is an interesting survey. See the Baptist Press story. See more on the LifeWay Research findings. Reformed Blacks of America, Inc. (RBA) is a center that seeks to build and maintain an infrastructure and network among African-Americans in a Reformed theological context for indigenous leadership, church growth and theological research for today's world. RBA was led to its existence due to the lack of an intentional multifaceted structure through which the Reformed Black community in all its diversity can reach its fullest potential in America. The cultivation of this infrastructure will be fulfilled through these three aspects of the mission of RBA: (1) the advancement of indigenous Black Reformed leadership, (2) growth of Reformed Black churches and (3) theological research that addresses the pathologies of Black America and the challenges of this complex world. The NET Bible has some good features. The primary strength of the version is its value as a free internet resource for fledgling scholars who would otherwise have no convenient access to the kind of grammatical and text-critical information presented in the notes. But the "tn" and "sn" notes cannot be relied upon to inform the reader where scholars differ on important points of interpretation. When they do notice other interpretations, they tend to be dismissive, defensive, and sometimes misleading. These notes are in need of some careful revision. Students who are studying the notes of the NET Bible should realize that many of them barely scratch the surface of the interpretive issues, and they are no substitute for a comprehensive exegetical commentary. It would be to their advantage if the editors were to get a clearer sense of the purpose of the version. Apparently it was originally conceived as a Bible for students who required a fairly literal translation for close study, with detailed exegetical notes; but revisions moved the text in a paraphrastic direction, as if it had to be understandable to uneducated and casual readers, to those who are offended at "sexist" language, and even to such dull readers as those who cannot understand obvious metaphors (e.g. "under his feet"). The result is, the translation itself is not very useful for close study. And there are already several versions which present a more idiomatic translation for readers who need one. What is needed is a version that will be useful to the same readers who will benefit from the scholarly marginal apparatus. It does not make sense to attach such an apparatus to a version intended for uneducated readers. The translation should be much more literal than it is now. We also would like to see the un-Christian treatment of the Old Testament repaired, but it seems that the editors have committed themselves to this approach. The explanation for it in the preface is facile and theologically inadequate. We cannot overlook the rationalistic presuppositions of their approach, which practically excludes the apostolic interpretations of the Old Testament. Although the editors seem to hope that their version will be "acceptable to Bible readers everywhere," they must know that it will not be acceptable to conservatives as long as they persist in this treatment of the Old Testament. The editors should not imagine that they have been "responsible to the universal body of Christ" when they merely invite people to send email to their website. The body of Christ has been around for nearly two thousand years, and it is no small thing to be responsible to it. When modern scholars cherish novelties, show contempt for the universal Church's heritage of interpretation, and boast of their independence from all "ecclesiastical" bodies, they minimize their responsibility to the Church. I think Marlowe does a good job of demonstrating the validity of the issues he raises and would recommend reading the entire review. 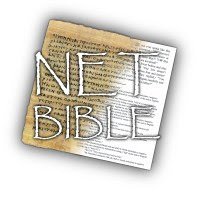 I will continue to personally make good use of the resources available at Bible.org, including the NET Bible with its generally helpful and informative notes, and I would recommend these resources as well. But I would recommend using them with a critical eye and great care, and I am thankful for Michael Marlowe's help in being more properly discerning. Recently I have encountered a growing number of my fellow believers who have become enamored with the House-Church Movement. These believers are Baptistic and hold to the Doctrines of Grace, but they have become disillusioned with the current state of the church and have become convinced that the work of reformation begun in the sixteenth century has not been taken far enough. These believers have pointed me to a couple of websites that have been influential in their new thinking: House-Church.org and the New Testament Reformation Foundation. 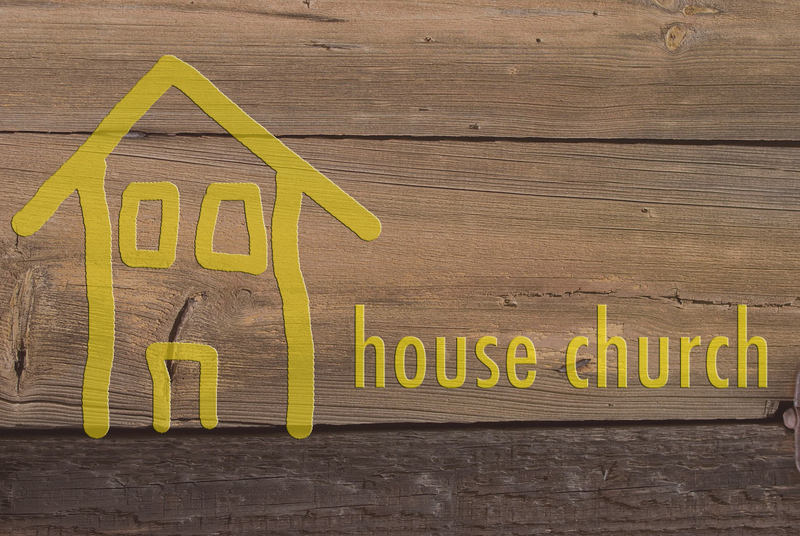 Today I want to introduce a series of posts in which I will interact with and respond to some of the primary emphases of the House-Church Movement. First, I will take up the requirement to meet in houses for worship. Second, I will respond to the argument for fully participatory worship, in which no one leads but each contributes in a spontaneous manner. Third, I will respond to the argument that the Lord's Supper may only be rightly observed if the the context of a "full meal." And, fourth, I will discuss the matter of elder leadership and authority. I will only be dealing briefly in the weeks ahead with each of the subjects I have listed, but I hope to at least outline a preliminary response to what appear to be the major emphases of the movement. I will restrict my interaction to writings available at the two aforementioned websites, given that these are the sites that have been most influential to those with whom I have dealt. Please check back in the coming weeks for the rest of this series.